Grant Marshall was born in Johannesburg, South Africa and studied Architecture at the University of Cape Town. He has been turning wood and practicing architecture since moving to Knysna in 1992. Recently, he has devoted more time and energy to woodturning and found the opportunities for self-expression more accessible due to the immediacy and simplicity of the process. He is a past chairman of the Knysna Wood Turners Guild, a founder member of the Association of Woodturners of South Africa and a regular demonstrator at the Association's national congresses. He has exhibited at the Knysna Art Gallery, the Blue Stairs Gallery and Le Bazaar Gallery. 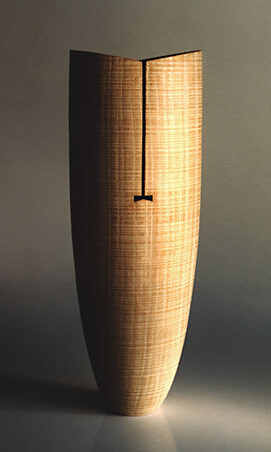 His work was exhibited at the American Association of Woodturners National Symposium in Pasadena. 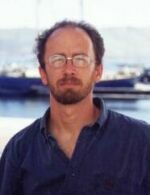 In 2004 he presented at the 25th Utah Woodturning Symposium hosted at Brigham Young University in Provo, Utah. His work was featured in the book "Beneath the Bark - Twenty five years of Woodturning" and in the fall edition of American Woodturner magazine. Some of his bowls reflect his architectural background in their forms, approach to the use of different materials, and careful pre-planning. Other pieces evolve directly on the lathe and there might be no clear idea of the finished piece until well into the process with the tools and the wood itself suggesting the way forward. The woods he prefers to work with are often those rejected by other woodcrafters because of flaws and imperfections. Knots, bark intrusions, cracks and even decay can steer the process in unexpected directions. The wood is often turned green, sometimes within days of the tree being felled. This means that even after the bowl is finished the wood itself may continue to influence the shape, distorting as it dries. "Turning becomes a dialogue between the turner and the wood, between the hand and the eye, demanding both commitment and flexibility in approach. Each successive cut means fewer options remain, there is no going back. But at the same time the wood is constantly being uncovered, new features are revealed inviting new responses from the turner. An imperfection might be cut away or it might be retained and the form altered to respond to its presence, or indeed to celebrate it."